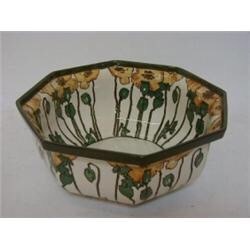 Collecting Royal Doulton’s Poppies ‘B’ seriesware. 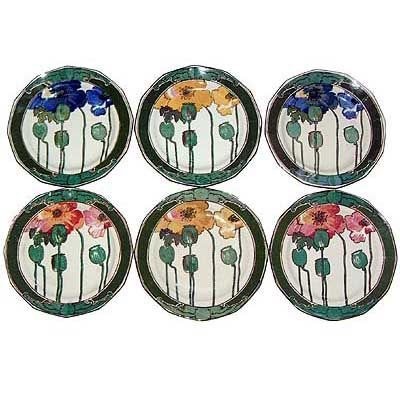 Few designs have the followers of this particular Royal Doulton art nouveau design. 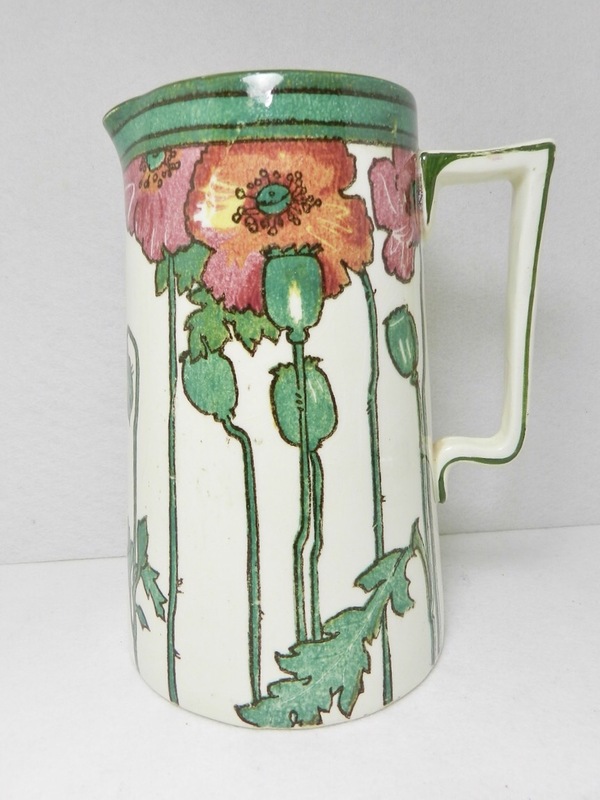 Well over a century after its introduction in 1909, today collectors still compete for unusual items featuring this iconic design. 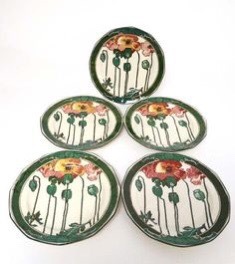 Although it had a relatively long production period until sometime after the outbreak of WWII, examples of it, other than rack plates are very hard to find. Over the years I have seen tennis sets, toilet sets, dinner plates and various jugs in collections around the world, yet, each collection has a specific focus of either decoration for the bathroom, the use of rack plates in a sitting or dining room or else simply part of a wider collection of Royal Doulton’s famous serieswares. There are three colour variations to be found, namely pink, blue and a yellow version. Interestingly there is also a special backstamp to be found which reads ‘sleep gentle sleep’, no doubt a reference to the symbolic use of poppies for those fallen in war and also recalling that famous line from Shakespeare’s Henry VI, Part II.